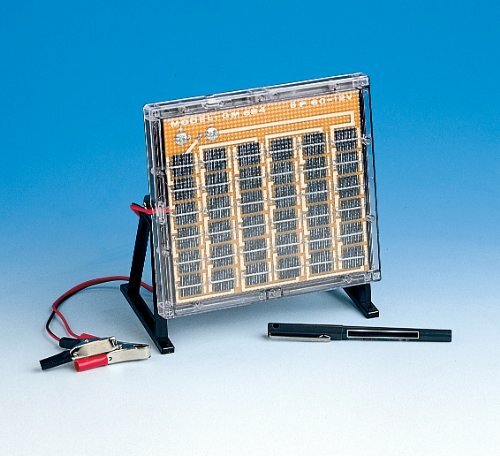 Waterproof 12V Solar Panel - Encapsulated solar panel is weather-resistant for outdoor use, provides output to power the appropriate 12V electronics or to recharge a small battery. Includes 6 ft. lead wire with alligator clips; removable angle adjustable legs.—Specifications:—? Built-in blocking diode to prevent reverse flow of electricity—? Maintenance-free solar power for years of use—? Stand and wire with clips are provided for charging batteries—? Ideal for use in marine and other outdoor activities—? For 6V or 12V battery recharge—? Power: 1.26W, 18V and 60mA—? Size: 8.9cm x 7.6cm x 1.9cm—? Lightweight at 13 oz.